The Emergency Plan for Jaguar Conservation in the Great Argentinean Chaco began. 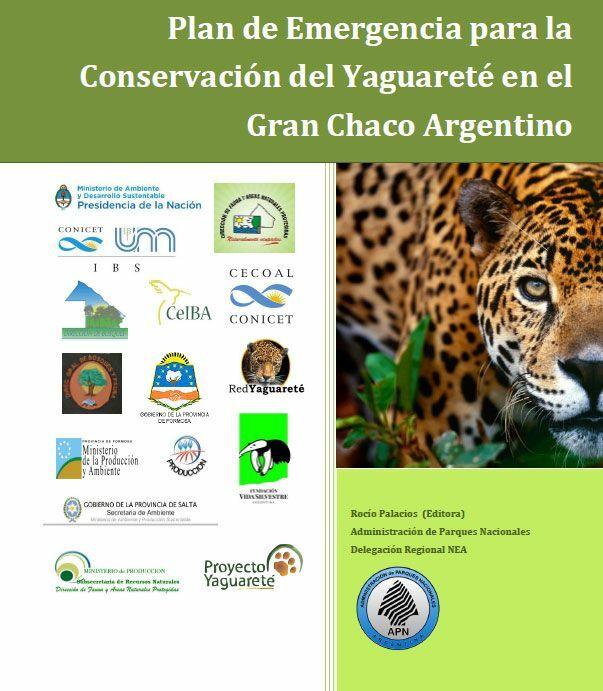 Home » The Emergency Plan for Jaguar Conservation in the Great Argentinean Chaco began. The species is in critical condition in the region: less than 20 specimens would remain. Members of the Chaco Region Sub-Commission for Jaguar Conservation met in Resistencia on Monday, November 14 to launch the Emergency Plan for Yaguareté Conservation, a species that is Critically Endangered in this region, where it is estimated that only a few 20 individuals or less are remaining. Deadlines were set for the execution of different actions indicated in the Emergency Plan, which has a duration of three years. They focus on hunting control (both jaguars and prey) and their criminalization, control of logging, adequate implementation of protected areas, research aimed at having an updated knowledge of the Species in the region and education. The meeting was attended by representatives of the governments of Chaco and Formosa, National Parks Administration, CLT, Fundación Vida Silvestre, Ceiba and the Jaguar Network/Red Yaguareté. Corrientes province also participated, since although the species was extinguished there, there is a project to return it to Esteros de Iberá. Santiago del Estero, Salta and the Zoo of Sáenz Peña, who had been invited, were absent.